A group of twenty-plus M&N Heating & Plumbing staff and partners braved the Autumn Wolf Run to support to two local charities, Mayday Trust and Helen & Douglas House. Held on Saturday 3rd September 2016 at Welsh Road Farm in Warwickshire, the Wolf Run is a 10km off-road run featuring a series of man-made and natural obstacles, including (W)oods, (O)bstacles, (L)akes and (F)ields. Helen & Douglas House rely on voluntary donations and require £5.5million each year to run the service. Founded in 1982, Helen House help families cope by providing personalised respite care modelled on that provided at home. With improvements in medical care, Douglas House opened in 2004 to specifically support those over 16, when a children's hospice environment isn't suitable. More information on how to help can be found on their website. Mayday Trust is a forward-thinking organisation that thrives on finding ways help people through tough times such as homelessness, leaving care or coming out of prison. They provide direct support through Mayday Inspire, a unique transitions service. Mayday Inspire aims to provide highly personalised, positive interventions. More information on how to get involved can be found on their website. 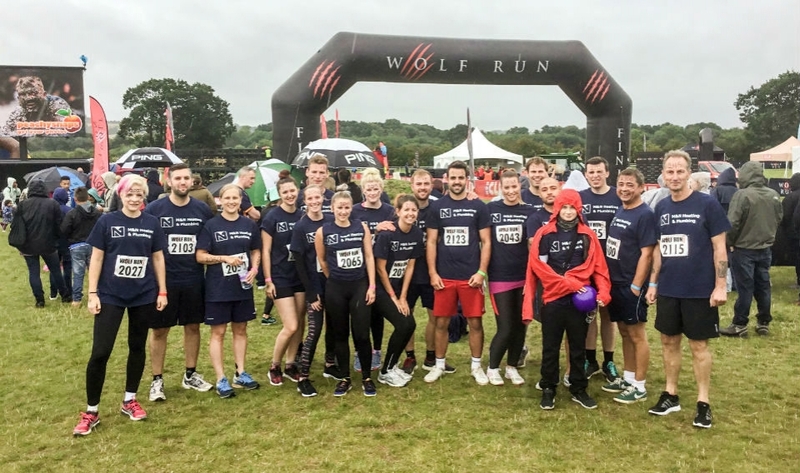 After weeks of training and preparation, the team were ready to brave the Wolf Run. Awaking to a drizzly Saturday morning, the conditions were perfect for slipping and sliding in the mud! 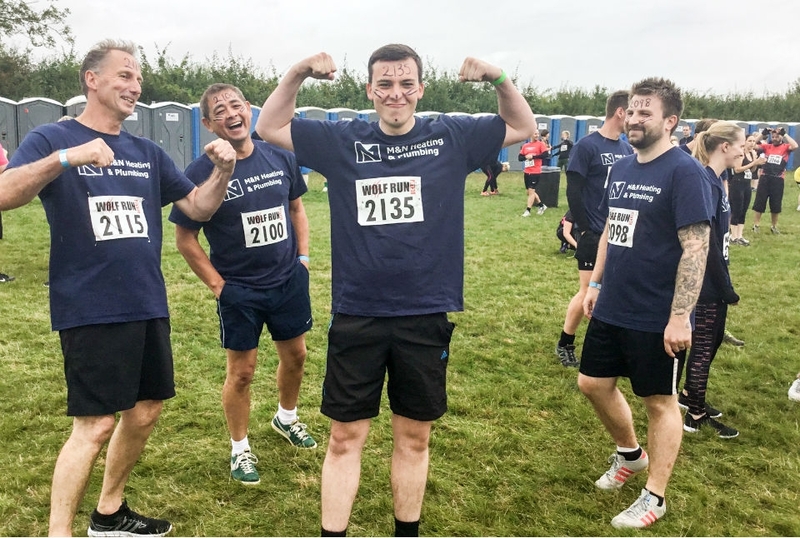 When asked about the experience Corey Swatton, Office Administrator here at M&N said, "The Wolf Run pushed every individual to their limits, but it was great fun! Everyone came together to make sure no one was left behind. The best part? The water slide and getting muddy!" Katie Fisher added: "I didn't think I would ever allow myself to get that covered in mud, but the whole thing was awesome! The slide had to be the funniest obstacle! Everyone was brilliant, helping each other to get through it; I definitely couldn't have done it without them." We were delighted to say we smashed our £3,000 fundraising target, with many donations still rolling in! With both charities relying on donations to operate their much-needed services, we hope the funds assist with the fantastic support that both Helen & Douglas House and the Mayday Trust offer to those who need it. If you're yet to sponsor us and would like to show your support for Helen & Douglas House and the Mayday Trust, you're not too late! Donations can still be made by either visiting our JustGiving team page or by calling Rosie, our Business Development Manager, on 01295 224844. Thanks again for all your amazing support! More photos of the event can be viewed here, on The Wolf Run's Facebook page or Twitter (@thewolfrun).